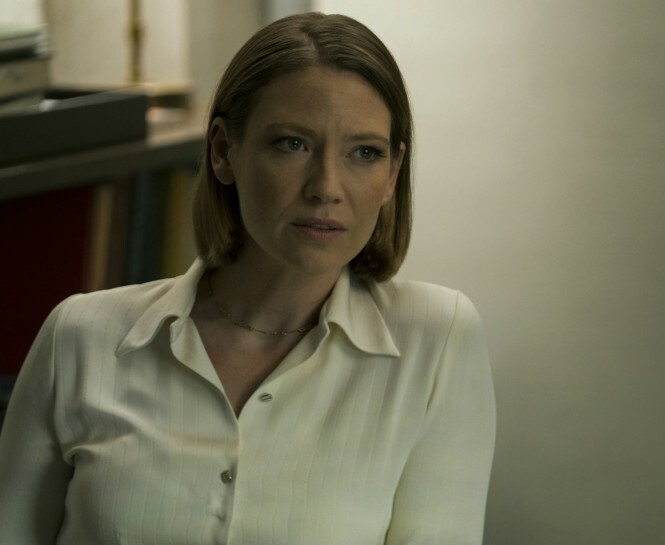 When you first heard of MINDHUNTER and read the script, what were your thoughts about this project? Actually, when I went to the audition, I did not read the script yet but I immediately went and bought the book written by the main character and I really liked it, even found it a bit scary. Then I went back to pick it up and read the script and I was quite impressed. You have not worked with David Fincher before. Well, how does it feel to take part in the same project? Yeah, I’d never met David. When I got the part and started working, I saw how generous and clear he was. He knows what is good for the actor and directs to them. It was great to work with such a director because most of our time was spent on the set. David knows what he wants, so as a team we understand what he wants and we work towards that goal. By today, almost all of the shooting is done. Would you describe a bit of Wendy’s character that you portrayed? Wendy is a very focused character, and I can even call it business. The most important thing in her life is her job and everything outside of her work seems like a waste of her time. She is filled with great passion. When you think about all the productions you were involved with, which character is the most influential to you? Of course, the Fringe character Olivia … I could almost say that I was her after five years of playing her. It’s already impossible for me to not be affected by a character that I’ve played for so long. One last question. Why do you think David Fincher is such a good director? What makes David so good, I think, is his integrity. When you watch his films, there is no disconnect between events, everything is meaningful. It’s possible to see his footage in all his films. The different characters, the different scenarios and the periods are so well observed and combined that it becomes very enjoyable to watch any project he has done. He is definitely a master of this work and it is a luxury to work with him.